Australia, 23 November 2016: Renewable energy tech company Evergen today announced an Australian first, pilot program with leading community housing organisation, SGCH, which will see the installation of the Evergen intelligent home energy system in 10 low income households in New South Wales. Evergen (backed by the CSIRO and investment leader AMP Capital) launched the nation’s first remotely-managed intelligent renewable energy centre for domestic use. Evergen combines the strength of solar and batteries with intelligent technology, allowing SGCH tenants to reduce their energy bills by up to 80 per cent. The pilot project – the first of its kind nationally – is co-funded by the Office of Environment, the Clean Energy Finance Corporation and SGCH to deliver an innovative solution for social and affordable housing tenants. The systems, to be installed in October 2016, will have solar PV’s installed on the roofs and the batteries installed in a common, purpose built shed. Each property will have its own Evergen intelligent home energy management system, allowing the systems to be tailored to each user’s specific needs to maximise their savings. CEO of SGCH Group, Scott Langford, said low income households spend more of their household budget on essentials such as energy. The results of thispilot project will provide valuable information on the benefits for households that are more vulnerable to rising energy costs. “People on low incomes are struggling the most with the rising cost of living including high energy costs. Many social housing tenants have high energy consumption: as a share of household income, low income households spend three times what high-income households spend on in-home energy**. It is these people who would benefit the most from energy saving measures in their homes, but who can not afford the large up front costs of items like solar panels. “SGCH is committed to sustainable housing design, ensuring tenants who are vulnerable to rising energy costs can benefit from savings now and in the future. We are excited to work with Evergen to offer our tenants cutting edge technology that will make a real difference to their energy bills, health and wellbeing,” Mr Langford said. The company has selected battery hardware provided by one of the world’s leading manufacturers, Alpha ESS, who has worked collaboratively with Evergen to develop its intelligent energy system. *Based on Evergen trial customer results. Actual savings will depend on system size, electricity consumption and tariff rates. 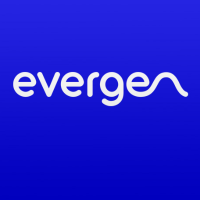 Evergen is run by energy scientists and advocates of change for clean solar and battery storage technologies for the home. The Evergen team includes renowned energy scientist and CEO Dr Glenn Platt and former CEO of AMP Capital and Evergen Chairman Stephen Dunne. SGCH is a leading not-for-profit community housing provider with over 30 years’ experience in developing and managing sustainable, safe and affordable homes and connecting people to opportunity. Recognised as one of the largest Community Housing Providers in Australia, SGCH houses over 8,500 people in 4,300 homes across the Sydney Metropolitan Region. Our pioneering partnerships with government agencies, community groups and support services allow us to increase the number of good quality homes in the places we work and connect people to training, education, employment and community engagement opportunities.